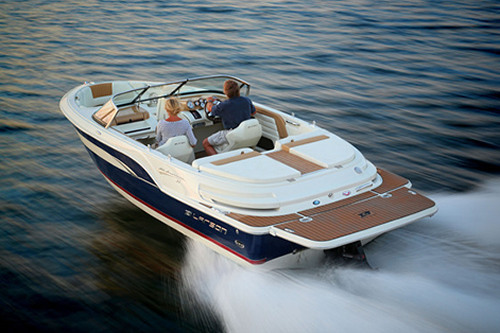 For nearly 100 years, Larson Boats has been sewn into the fabric of the American dream as one of the countrys hardest-working, hometown brands. Available RIGHT NOW from UK / IRELAND dealer stock, the 2300LSR is all about performance and feel good factor!! A demonstrator that has covered only 5 hours with a huge saving over list price. A stunning hull mould with fantastic lines is achieved with Larson& rsquo;s VEC build process leaving the competition behind. 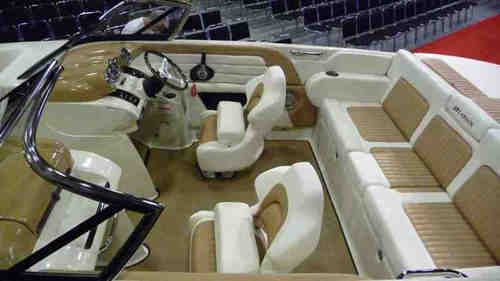 She has twin single helm seats with flip-up bolsters and adjustable steering wheel, the cockpit is large with U-shaped seating and sunpad behind which has a walk through to the extended bathing platform. 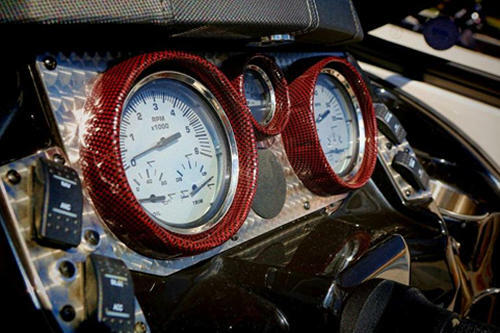 The centre of the windshield hinges open to allow access to the bow where you will find storage under the seating. 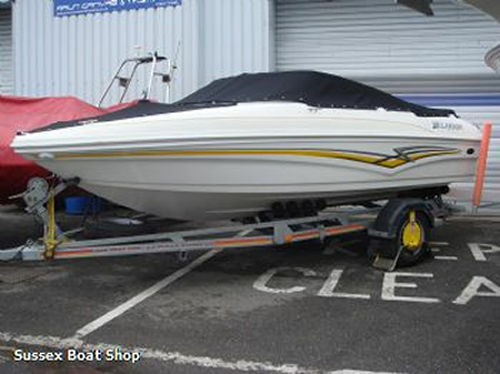 This is an excellent boat that ticks all of the boxes! 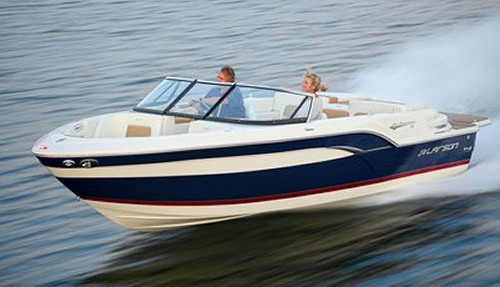 Built to celebrate Larson's 100th anniversary, a resurrection of one of the brands most popular models, which the builder produced from the 1960s to the 1990s. The All-American is an open-bow runabout that helped the Little Falls, Minnesota based company make a name for itself in the 1960s. band with contrasting white and tan upholstery. 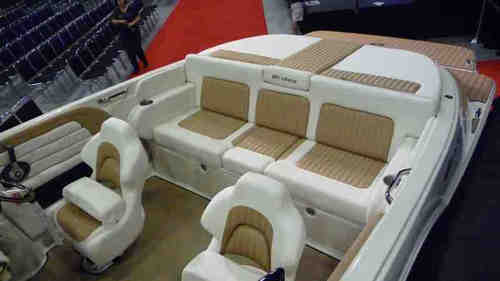 Price as indicated includes the 10% boat show discount offer if purchased before the end of February. Trailer available if required at additional cost. 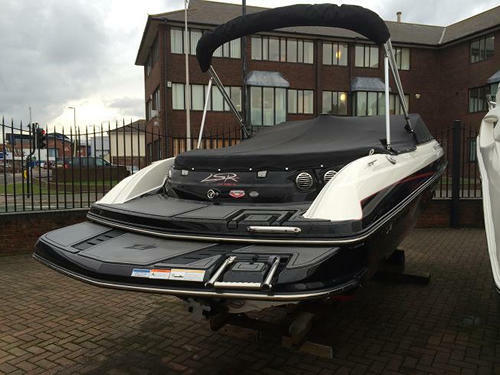 This popular Larson 180 sports boat is a 2007 model in lovely condition and ready to go. 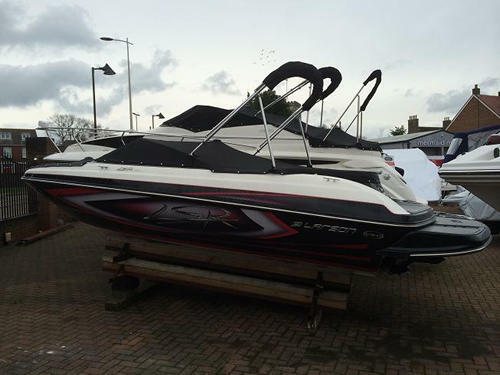 Full Service History, last serviced May 2014 & Low hours at 96! 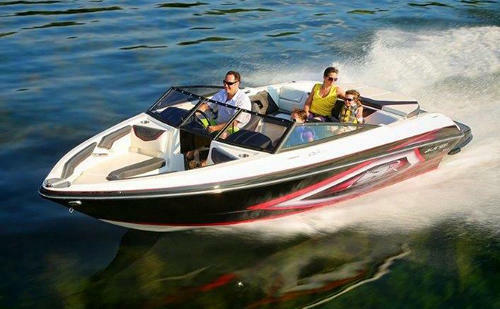 She is the 95 Year Anniversary Edition Larson 180 Sport fitted with the Volvo Penta fuel efficient 3.0L engine giving out 135HP and reaching speeds of 40MPH.